“Brother, Give Us a Word” Meditations from the Society of St. John the Evangelist, Cambridge, Massachusetts. 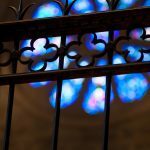 These short paragraphs offer reflections from different members of an Episcopal monastic community on how a single word may open doors of spiritual insight. There is an opportunity to subscribe and receive daily words via email. “Contemporary Collects” – Church of England. the history of Christian faith and discipleship down the centuries). Teaching videos from The Church of the Transfiguration in Vail, Colorado. Follow the link to sermons HERE. However you got here, wherever you are in your faith journey, we hope to connect you with information and inspiration in the Holy Spirit. We take our call to God through Jesus Christ seriously, with joy and curiosity. 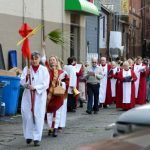 Homilies from St. Andrew’s Episcopal Church, Silicon Valley, California are HERE. Saint Andrew’s is an open and affirming community in Christ that celebrates inquiry and spiritual development and lives a life of service. We don’t shy away from the tough questions. Our outreach extends to 28 different community organizations. Beauty and music are sacred components of our liturgy. 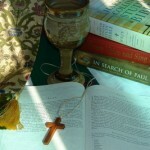 All are encouraged and welcome to participate in communion and all other aspects of our worship. 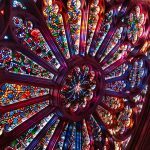 Sermon videos from Trinity Church, Wall Street, are found HERE. 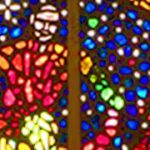 Recent Sermons from All Saints Episcopal Church, New Albany, Ohio are HERE. Archived lectionary sermons from Christ Church, Seattle, Washington are found HERE. 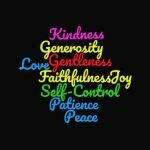 “We are steeped in centuries-old Christian practices and we also love robust dialogues about what it means to live our beliefs out in the modern world. We strive for beauty in worship, empowerment through education, and action informed by faith. We believe that the diversity of families reflects the abundance of God’s love. We honor the lives and families of gay, lesbian, bisexual and transgender people. We welcome single people, partnered people, divorced people and widowed people. We treasure the energy of our children and teenagers as well as the wisdom of our older members. 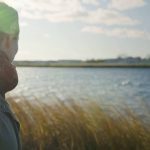 Wherever you are in your life, there is a place for you here. Some of us are activists, some of us are liturgy nerds, some of us are passionate about hospitality, some of us are just trying to get out the door without forgetting our keys and phone. We embrace diversity of all types, trying to acknowledge and heal the occasional discomfort that comes from being in community with other humans. 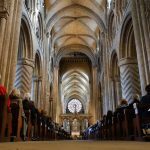 Listen live to Choral Evensong from the great cathedrals of England on the BBC and explore their musical online archives HERE. Choral Evensong is the BBC’s longest-running outside broadcast programme. 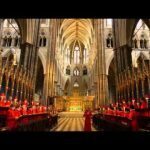 The programme is a broadcast of an Anglican service of sung evening prayer live from cathedrals, university college chapels and churches throughout the UK. On occasion, Choral Vespers from Catholic cathedrals (such as Westminster Cathedral), Orthodox Vespers, or a recorded service from choral foundations abroad are broadcast, at which time it is referred to as Choral Vespers. It is transmitted every Wednesday at 3:30pm during the Afternoon Concerts block on BBC Radio 3, with a repeat on Sunday afternoons at 3.00pm. The most recent broadcast is available on the BBC iPlayer for one month after the original broadcast. Complete services from Washington National Cathedral are available HERE. Washington National Cathedral is called to be the spiritual home for the nation. It seeks to be a catalyst for spiritual harmony in our nation, renewal in the churches, reconciliation among faiths, and compassion in our world. 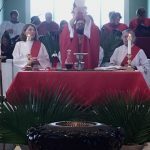 The online library of The Episcopal Church includes over 800 videos relating to a a wide range of topics from theology, scripture, history, pastoral care, and recent events are HERE. The Diocese of Southern Ohio has adopted the Becoming Beloved Community four-fold path and is seeking to live into this call over the next year and beyond. 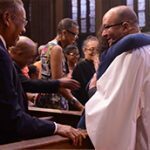 The Episcopal Church’s Becoming Beloved Community vision frames a path for Episcopalians to address racial injustice and grow as a community of reconcilers, justice-makers, and healers who share a passion for the dream of God. The Church sees this path in four areas: Telling the Truth, Proclaiming the Dream, Repairing the Breach, and Practicing the Way of Love. We invite you to join us in becoming Beloved Community and living into the dream of God.